An analog messenger of joy. 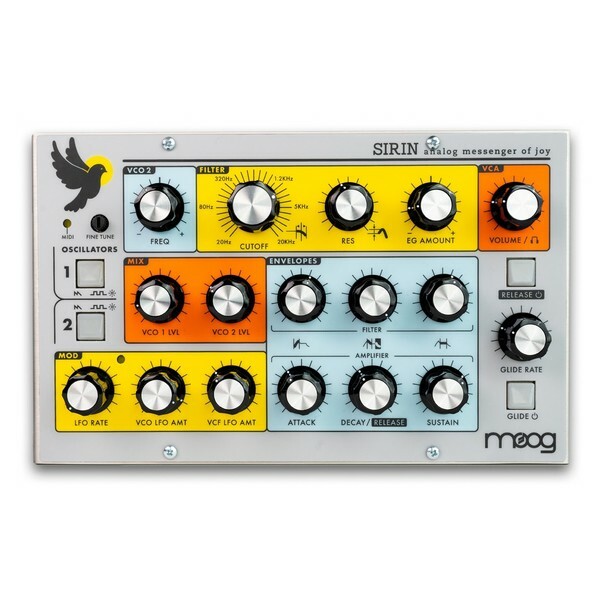 The Moog Sirin. It's the first of the Taurus family of bass synths to create the opposite - soft, searing, and clangorous lead sounds. 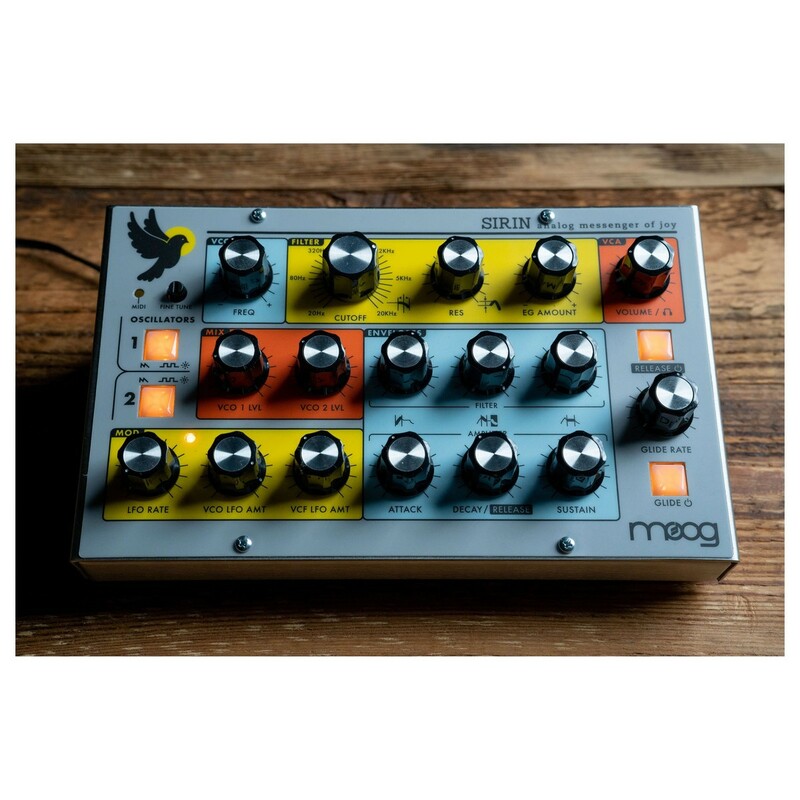 The Sirin is based on the Moog Taurus Bass sound engine, yet oscillates in the higher octaves to create more lead and melody style sounds. 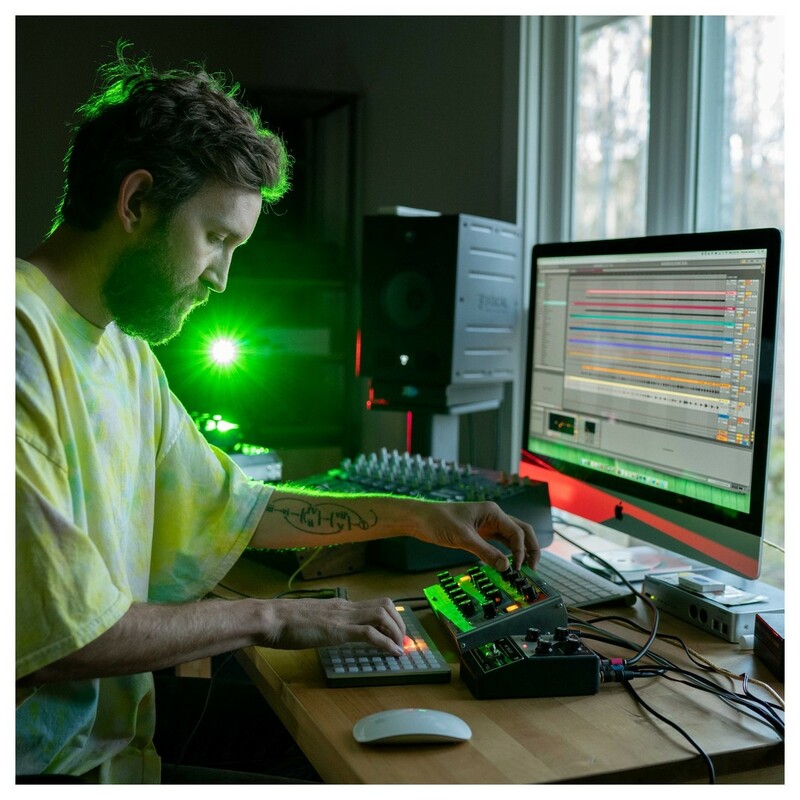 A retro-inspired steel casing invites you in, while the class 4-pole ladder filter and two lightning fast ADSR envelopes and LFO opens you up to creative experimentation, offering a wide spectrum of expressive timbral variety. 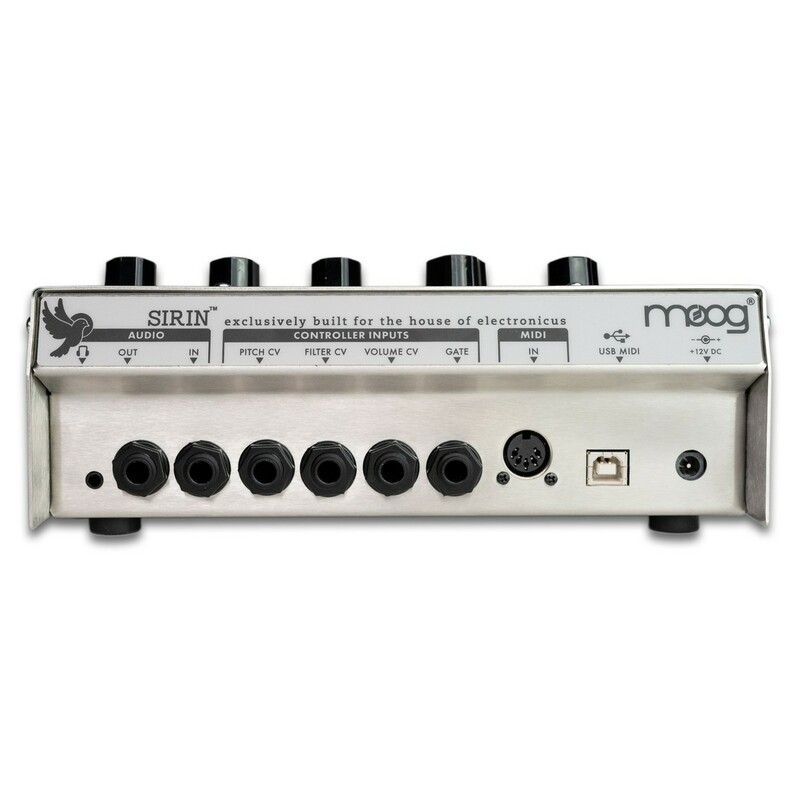 The Moog Sirin integrates effortlessly with any DAW or MIDI controller to give you powerful analog sound anywhere. 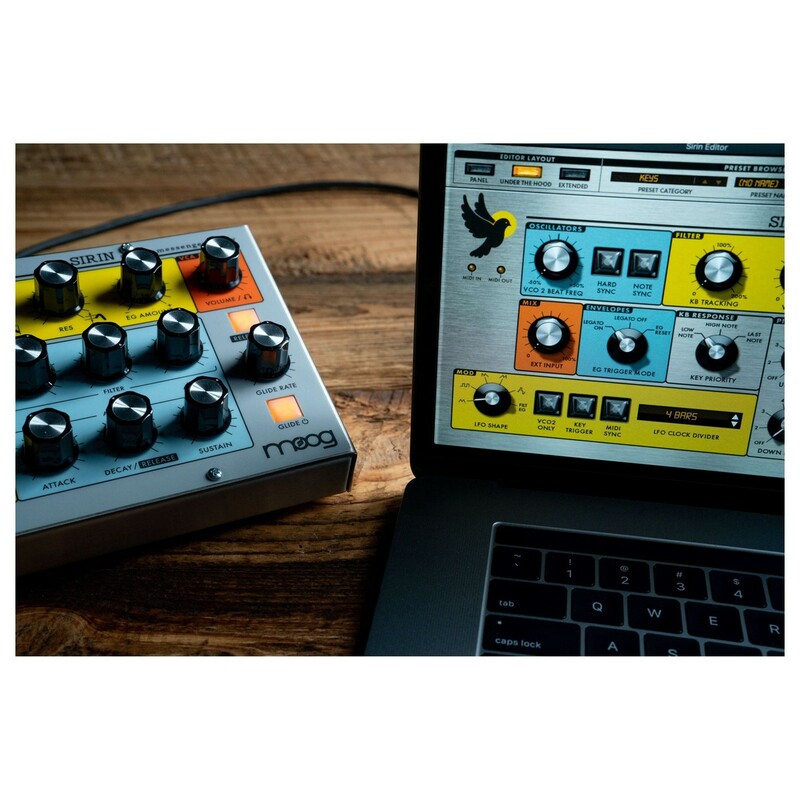 Save presets, automate parameters and more with the Moog Sirin. A limited production run of the Sirin are being produced. 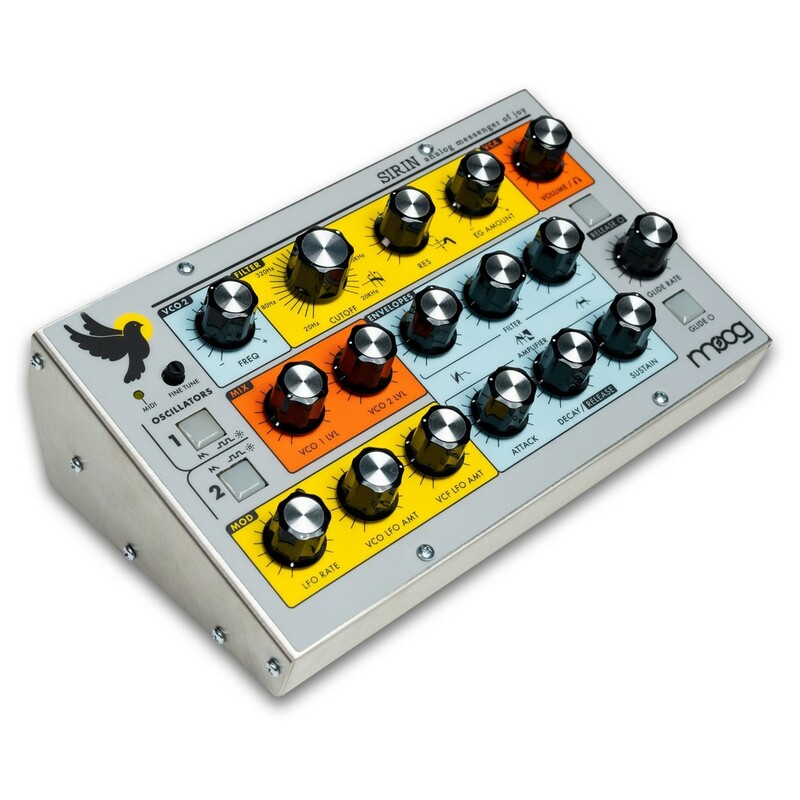 A limited production run, the Sirin is based on the Moog Taurus Bass sound engine. 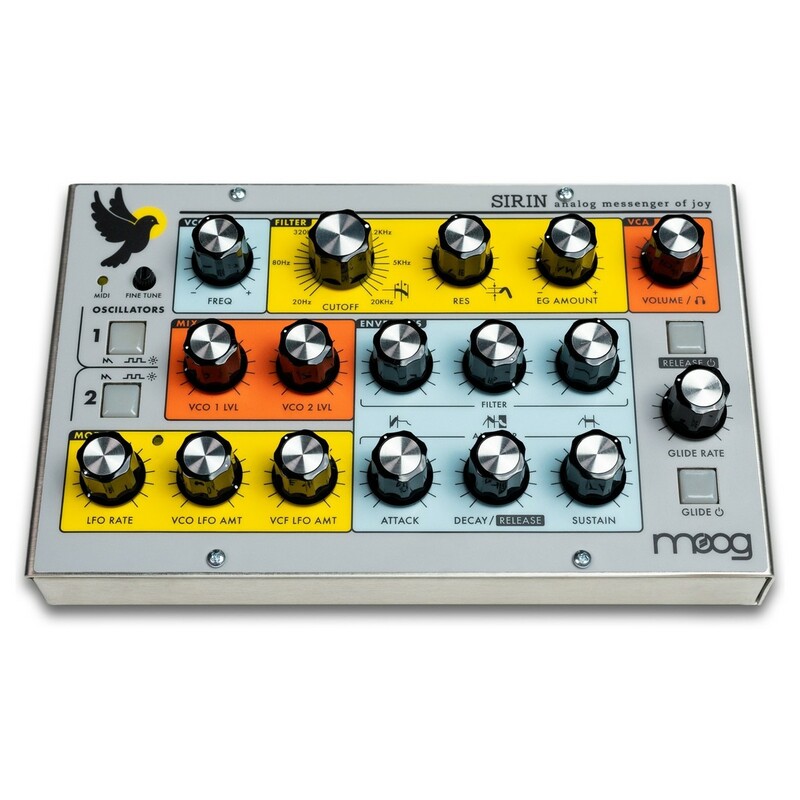 Created in celebration of the Moog House of Electronicus. Express yourself with the super high octaves of oscillation. Housed in a brushed stainless steel enclosure, finished with retro colours. The Sirin invokes a retro-futurist positivity that is sure to move you. The full analogue synth can track as high as D8 making it exceptional for peppering those arpeggios with high-end electronic flourishes. So it's not just ideal for rumbling basses - even though it tackles these superbly. The 4-pole ladder filter provides the rich harmonic content and works wonderfully alongside two ADSR envelopes. Dynamically shape your harmonic transmissions and sculpt them the way you want. This forms the basis for Sirin's extremely vibrant sound. Perfect for bass, leads, or can be added to any form of music or sound design to give it a huge injection of life. Sirin feels truly organic.